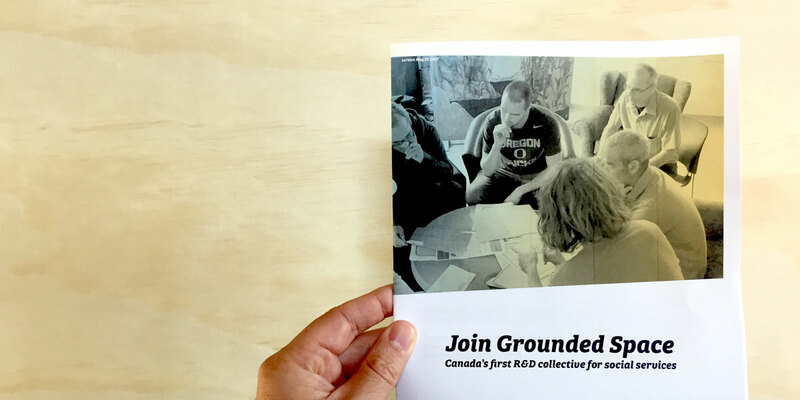 We’re building Grounded Space: Canada’s first Social Research & Development Collective. Subscribe as an individual to gain access to learning experiences, case studies, and media content. Or join as an organization to tap into the data, talent & connections required to shift stuck social outcomes. In 2017-18, we’re testing membership with up to 10 social service organizations! Why build a Social R&D collective? Canada’s social safety net is made up of 19K social service organizations. Money flows to service delivery. Services are held to account for how much they deliver. Without resources to continually develop alternatives, the safety net often entangles rather than enables change. And social innovation workshops, pilot projects, and change labs are inadequate responses. They do little to overcome the structural barriers to meaningful social reform. Unlike in the private sector, where businesses typically spend 3-5% of their budgets on Research & Development, social sector organizations have no inbuilt function for inquiry and experimentation. So the ideas that emerge from workshops & pilot projects have nowhere to land. Innovation ends up happening off the side of people’s desk. Competition typically overrides the rhetoric of collaboration. We know from research in the private sector that there’s at least four things required for R&D: (1) dynamic talent, (2) good data, (3) access to capital, and (4) multi-sectoral networks. Grounded Space is our attempt to bring these four things to the social service sector. We’re pooling funds to create a shared R&D function. Social service members can then tap into the HR, the small data, and the networks they need to make and internalize big shifts. We’re working to attract funders to Grounded Space as a better way to scout great ideas. Workforce for caring — not innovating. Accountabilities up — not down. Little perceived control & agency. No remit or resources for Research & Development.